Children draw to express what they are feeling and thinking. Drawing is an especially important outlet for children who do not yet have the verbal skills to communicate their feelings. When a child draws something familiar to them, for example, a cat, they have the opportunity to think about what they know and how they feel towards this animal. They use their memory to recall what they know about cats, in turn extending their concentration skills. Drawing also helps to develop manipulative skills that will assist children to write. Each child’s art is unique and follows a universal pattern of development. All children go through the same stages but the age at which this happens varies. The first stage is “experimenting” where young children learn how to make marks on paper. The objective here is to see what they can do through practice and repetition. When children gain greater control of their pens you are likely to see circular patterns and the work taking less of the page. As children are able to consistently create circles and lines, you may see circles with lines radiating from them. The next stage is where these circles and lines start to become objects like people, as children are able to represent what they are thinking about. With continued practice finer details start to appear such as people having fingers and eyebrows. Some research has indicated that colouring books may restrict some children’s creativeness and their independence of expression. Some children may use the drawings in these books as a model of what an object should look like. If a horse looks a certain way in the colouring book, children may believe that their horse should look the same. They may also feel a sense of not being able to achieve what is expected as they cannot colour within the lines provided. This could restrict their ability to draw with feeling and emotion and to represent objects as they see them rather than how the lines portray them. Art is about discovery, using imagination, experimenting and trying out new methods and expressions. You know your child best, their temperament and capability, so you will know if colouring books are a useful tool or not. My Nana was an amazing knitter. She taught me how to knit at the age of six. My knitting was nowhere near as good as hers no matter how hard I tried. The idea that perfection will come with time and practice did not occur to me until a much later age. Your children may think the same about the drawing you do for them. How often, at the invitation of your child, have you drawn a stylised house, sun, and trees? What messages does this give? 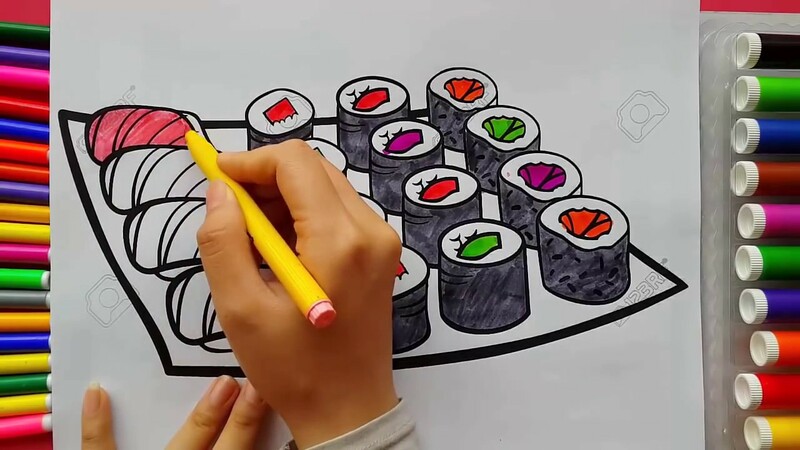 Like the colouring book, this may limit your child’s creative ability as your works dictate what objects such as a house, sun, and tree should look like. A child that is confident with their own work will rarely ask you to draw for them. Around the age of 3 ½ children may start to have a plan for what they are drawing. However, as adults we don’t know what our children’s intentions are. It is a good idea to talk about what your child is drawing because it shows interest, but it is important not to label the unknown. A general statement like “Can you tell me about your picture” is a good conversation starter allowing your child to tell their story. Displaying your child’s art works on the fridge or making a frame for special work shows them that what they have done is important. What drawing experiences can you provide? Children need a variety of items to draw with and draw on. These could be pens, chalk, crayons, paint and brushes. Items like paper, cardboard, boxes, concrete, or even the fence, are good places to draw on. Start drawing experiences as soon as your child shows interest; usually from around eight months. If you don’t want delightful artwork added you your walls it is best to have a regular ’drawing place’, like a small table and chairs, and rules about the pens staying on the table. The best paper has no lines so children are not confined when they first experiment with making marks on paper. Perhaps try taking your drawing materials outside under a big tree in fine weather. Another idea is to paint the fence or concrete with a mixture of water and a few drops of food colouring, this washes off well in the rain.